The draft law approved by the Romanian Government for the transposition of Directive (EU) 2015/849 on the prevention of the use of the financial system for the purposes of money laundering or terrorist financing goes far beyond its provisions in order to drown the critical voices of civil society in reports full of TINs (taxpayer identification number) and ID series. For example, the Government adds associations, foundations and federations, on its own initiative, in a seemingly excess of European zeal, as reporting entities bound to communicate the personal data of the beneficiaries. Thus, the personal data of journalists or children participating in any kind of NGO activity should be reported. Without any reasonable argument, civil society is placed in the same category of financial risk as providers of gambling services and banking institutions. Without the publication of any risk analysis, as recommended by international standards in the field, NGOs are required to report sets of data that even profitable banks and gambling firms can hardly cope with. On May 31, 2018, the Romanian Government approved the Draft Law on the Prevention and Control of Money Laundering and Terrorist Financing, as well as on amending and completing some normative acts. In trying to transpose the Fourth EU Money Laundering Directive, the government project has already prompted strong criticism from the NGO sector. This will seriously affect the activity of civil society by introducing the obligation to communicate to the Government the identification data of the beneficial owners of non-governmental organizations under the extreme sanction of dissolution in case of non-compliance. Directive, also has damaging effects on NGOs’ activity. Thus, only one of the effects is that NGOs will no longer be able to sign partnerships without informing each other about the complete lists of their beneficial owners, including persons, with names, surnames and all civil status data from the identity documents (Article 15 (1) and Article 19 (8, 10)). We conclude with the hope that you will stop these serious changes to the freedom of operation of civil society in Romania: reporting the identification data of the NGO service beneficiaries and the possibility of dissolution as a sanction for the refusal to disclose this data We also believe that the current form of the draft law will not ensure the achievement of the final objective of the Directive, as civil society cannot even report, nor will the authorities be able to process the huge amount of information. For example, only the social services and related services sector (socio-educational or sociomedical, housing, labour market mediation, etc.) provided by non-governmental organizations in Romania have about 350,000 beneficiaries annually. The situation is all the more serious because the law clearly contradicts one of the key sources by which the Government bases its draft law : FATF (Financial Action Task Force) recommendations, the intergovernmental organization working to reduce money laundering and terrorism financing. FATF Recommendation 8 directly addresses nonprofit organizations and imposes exactly what the Government of Romania has not done: for non-profit entities, any approach to the problem is done through risk analysis and measures proportionate to the identified risk. 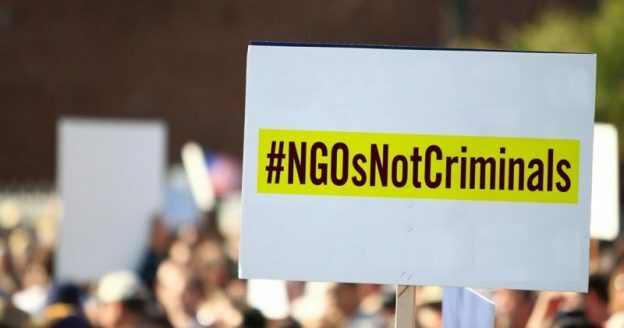 As no assessment of the terrorist risk in the NGO sector has been published in Romania, it is incomprehensible that the above-mentioned measures are proportionate to the alleged risk. The current form of the draft law is therefore unacceptable for a functioning civil society in a European state. Excessive and harmful provisions on associations, foundations and federations must be blocked in Parliament. 10. 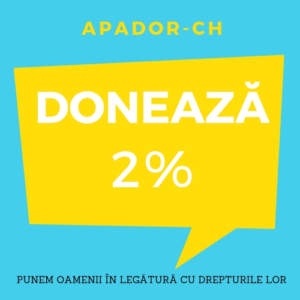 Asociația pentru Libertate și Egalitate de Gen – A.L.E.G. 62. Let’s Do It, Romania!